Handcuffed and wearing plastic slippers, Carlos Ghosn appeared in a Japanese court Tuesday to rebuff prosecutors’ allegations of financial wrongdoing. As he defended himself against charges he failed to disclose income from Nissan Motor Co., his sunken cheeks and graying hair underscored his downfall from the apex of the business world where he built a nine-figure fortune. 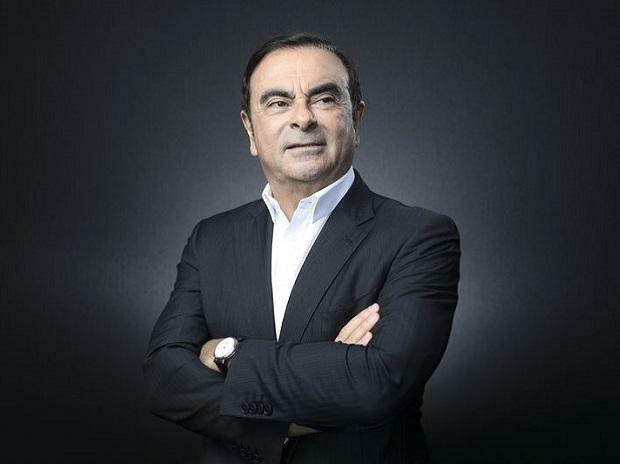 Ghosn, 64, amassed a net worth of about $120 million over the decades he spent atop the automotive industry, according to an analysis by the Bloomberg Billionaires Index. He owns about $60 million of shares in Nissan, Renault SA and Mitsubishi Motors Corp. Disclosed salaries and dividends over the years total another $60 million or so. Ghosn’s fortune could be even higher. The figure excludes compensation he received from Nissan before it was first disclosed in 2010, which could run into the tens of millions of dollars. His lawyers, represented by Motonari Otsuru, declined to comment on his wealth. Ghosn’s life and lucrative career were upended Nov. 19, when Japanese prosecutors detained him on suspicion of understating his compensation in regulatory filings. Accusations against him have piled up since, and authorities repeatedly extended his confinement. On Tuesday, Ghosn professed his innocence. The hearing was Ghosn’s first chance to give his side of the story, and he laid out his defense against charges he failed to disclose income from Nissan and saddled the carmaker with trading losses. Nissan also accused Ghosn of misusing company funds, including over his use of homes from Brazil to Lebanon and the hiring of his sister on an advisory contract. On Wednesday, the court rejected his appeal against the ongoing detention. For most people, Ghosn’s fortune is an almost inconceivable level of wealth, and allegations that he would seek to bolster it might appear outlandish. But in the realm of superstar executives, a nine-figure fortune can seem like slim pickings. His net worth pales when compared to some peers. The late Sergio Marchionne held shares of Fiat Chrysler Automobiles NV, Ferrari NV and CNH Industrial NV worth a combined $486 million. Ghosn’s pay was lower than the heads of Ford Motor Co. and Volkswagen AG. There’s an even wider discrepancy outside the automotive world. Eleven executives at public U.S. firms were awarded more than $100 million of compensation in 2017, according to the Bloomberg Pay Index. And Ghosn’s fortune is dwarfed by those of longtime banking executives such as JPMorgan Chase & Co.’s Jamie Dimon ($1.5 billion) and Goldman Sachs Group Inc.’s Lloyd Blankfein ($1.1 billion). For Ghosn, a perennial attendee at the World Economic Forum in Davos, Switzerland, these are the globetrotting executives that he mixed with and measured himself against. Famously, he liked to quantify success. “I keep my eye on the scorecard,” he told a group of Thai business school graduates when asked to explain his rise. And $120 million only goes so far in the rarefied world of private jets and expensive homes that he inhabited -- particularly for a divorcee who threw a Marie Antoinette-inspired party at the Palace of Versailles to celebrate his second marriage. Such expenses underscore a widening wealth gap between the rich and the really rich, a little-seen realm where the elite level of service at some private banks is now the preserve of those with $1 billion. That disconnect -- only experienced by a tiny fraction of the population -- offers one explanation for why Ghosn sought to bolster his pay and award himself lucrative post-retirement compensation. He drew up a 10-billion-yen ($92 million) incentive plan for the board, 90 percent of which was meant for himself, people with direct knowledge of the investigation have said. Then there was 4.7 billion yen share-price-linked plan, called stock appreciation rights, that he planned to receive after retirement. And prosecutors allege he failed to report eight years of deferred pay, which also amounted to about 9 billion yen. The incentive plan wasn’t adopted and the stock appreciation rights would have expired in March 2019, according to others with knowledge of Ghosn’s case. Ghosn has denied wrongdoing regarding all of these compensation programs, which could have swelled his fortune to more than $200 million, according to calculations by Bloomberg. Such material riches are now a distant prospect for the embattled executive. After his court appearance, he returned to the Tokyo jail where his days are broken up by 30 minutes of prescribed exercise and three meals.